Kari Lehtonen made 35 saves to bring the series home to Dallas for Game 7 with a 3-2 victory over St. Louis on Monday night. Brian Elliott, a standout throughout the postseason, was pulled in the first period. Vernon Fiddler and Jason Spezza also scored for Dallas, which reclaimed home ice for the deciding game. 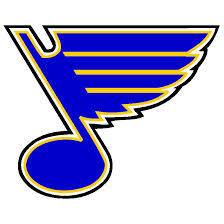 Alexander Steen and Patrik Berglund scored for St. Louis. Elliott entered with a 1.92 goals-against average in the series, but was replaced with the Stars leading 3-0 on just seven shots at 16:49 of the first. Jake Allen finished in his first appearance of this postseason, facing just seven more shots in the final two-plus periods. Game 7 is Wednesday night in Dallas.